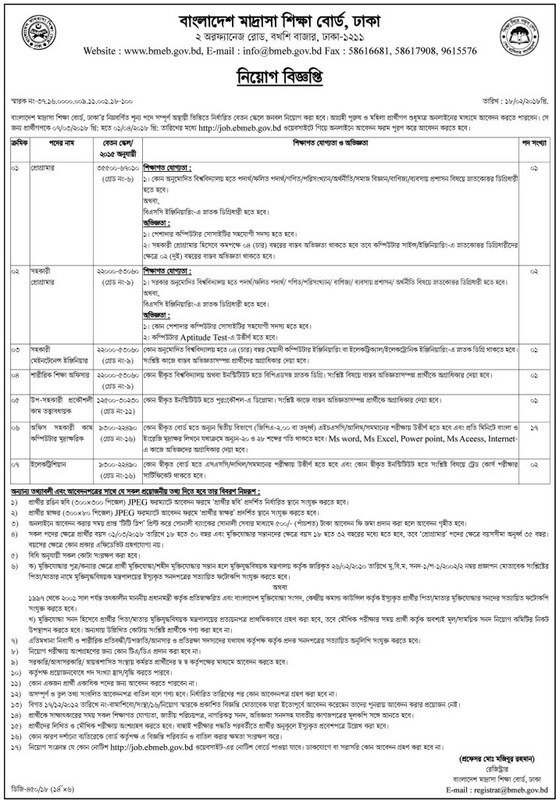 Madrasah Education Board Bangladesh has published new job circular on official website for the post Programmer, Assistant Programmer, Assistant maintenance Officer, Physical Trainer, Sub assistant Engineer, Electrician etc. Salary is according to national gross salary scale 2015. Educational qualifications and rules for application has been given below. Last date of Madrasah Education Board Job circular 2018 is on 01 April, 2018. See details about Madrasah Job 2018 in the circular below.